One of the toughest parts of writing copy – and writing in general – is firing up the engines. We’ve already covered how to begin writing and getting words from your head onto the page, so this time let’s go back to one step earlier – how to even know what it is you’re supposed to be writing. 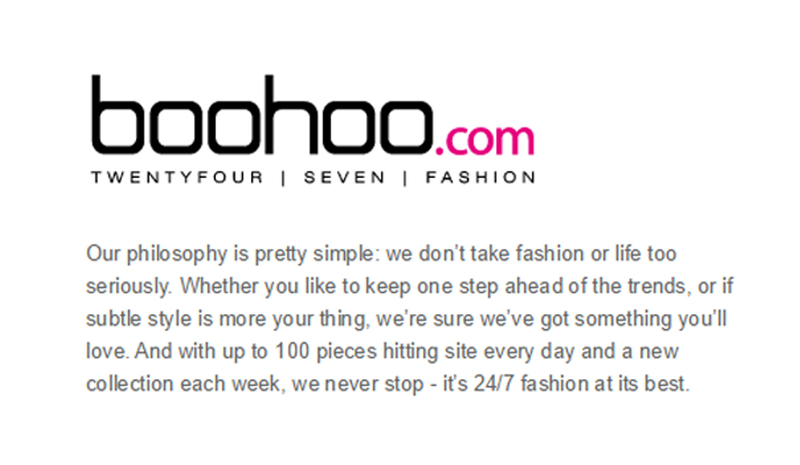 Obviously, there’s no one correct way to write copy, just like there’s no one way to design said copy on a webpage. Instead, just like you do before designing for the client, you have to first figure out what your client’s product calls for. 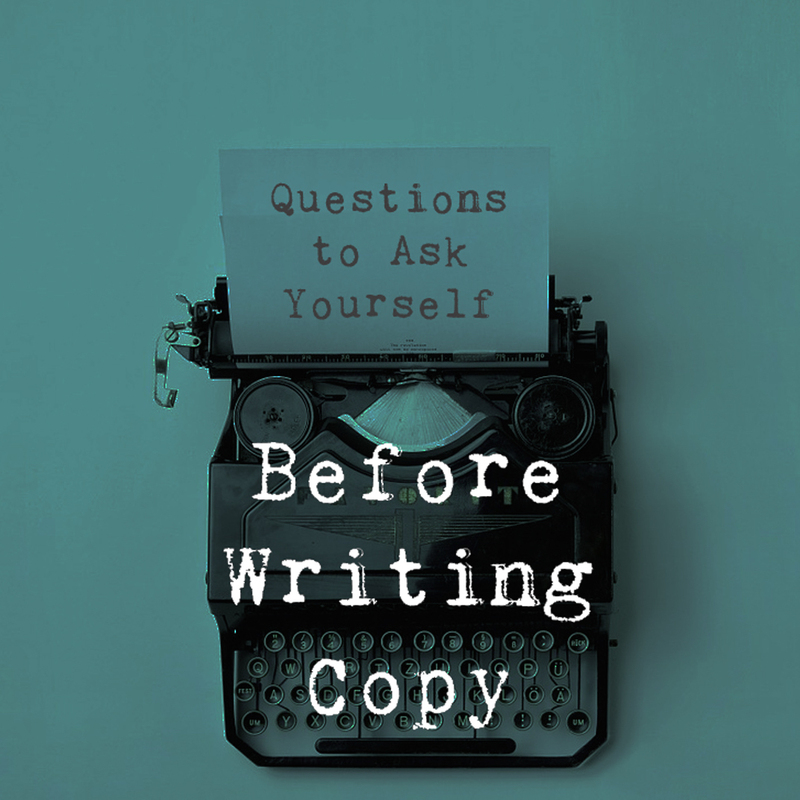 In order to help you, here are a few questions you should be asking yourself as well as your client and will help you get a better idea of what kind of copy is needed. Here are the 3 questions to ask before writing copy. 1-What is the brand’s voice? Certainly the key thing to think about when writing copy is voice. Your words can speak to your client’s audience in one of a million possible ways and should represent the cohesive, clear voice of your client’s brand. For the copy to be effective, it has to speak in a voice that’s right for that specific audience, and within that specific audience, in a voice that’s right for the particular message you’re trying to send out. For instance, if you want to convince a potential customer to buy your medicine, even if she’s a party-loving, vodka-drinking 25 year old, there’s no point sounding hip. The client has to be able to trust you with her health. So in this case you would probably want to employ a more authoritative, confident voice that realizes your client has a problem – no point going around it – and assures her the brand’s here to help. Some products and services, on the other hand, require a more honest, down-to-earth voice that the audience can relate to. This is a voice that’s basically them rather than an authority to take advice from. It’s a voice that just gets them. It advises them, as equals, what the brand would go for. If, you know, it were a person and not a capitalist for-profit machine. Yet another style you can go for is the ironic, cynical voice. This brand doesn’t only understand the client, it goes one further – it and the client share something that the rest just don’t get, and they can share jokes about those lesser mortals. This type of voice often mocks competing brands or general conventions of advertising. Like the regular joe voice, it has a certain logical fallacy built into it. But if you manage to get past it, for some brands this can work very well. These are just a few examples; in general, the right voice is a combination of the clientele’s characteristics and the product’s characteristics. There’s no one voice for any kind of product. For instance, think about the difference between selling pacifiers with an assured scientist voice that calms new parents that this one product will keep their precious baby safe, versus selling them with a childish, honest and simple voice that addresses the parents from the assumed point of view of the only one whose opinion actually matters regarding pacifiers. 2-What is the audience’s attention span? This one relates strongly to the first question about voice, and in some senses is contained within that choice – and yet any one voice can still speak in different lengths to the very same audience. This part inquires whether the product being sold asks for lengthy, detailed texts or short, meticulously-crafted ones. For the most part, the answer depends on the medium – are you designing a print ad? A logo? A website? Is that website just a landing page, or is it a whole portal with different sections? etc etc. But even within each of these options you have a multitude of sub-options which can fit different needs and occasions. For instance, you probably know the short sentences. Many full stops. approach. This one screams out confidence and reassuring energy… Because your brand doesn’t even need connecting words, that’s how obvious it is that it’s the best. This is a natural pick for an authoritative voice, but can actually fit others, too, since it can also be read as imitating certain instances of real-life human talk. Just don’t over do it – it’s gets annoying quickly. It really does. You’ll see. Another classic way to go is adjective-heavy writing. Again, don’t go too far with it – you’re not a goddamn Romantic poet – but know that adjectives can be an easy and effective tool sometimes, especially when a line of various things which are kind of the same but not exactly the same are involved. In other words, if you’re designing an online shop and need special pages for each item, you can’t afford to blabber on too much (nor do you really have something innovative to say about every single item.) This might be a good place to use adjectives that can help tell the customer what they’re looking at within a few words. Product A is elegant, classy, fashion forward. Product B is fun, whimsical. Product C is sporty, functional, day-to-day. Consider the voice itself too – how would it experience different styles of products? A third famous option is storytelling. In fact, any voice and style you use is telling a story in its own way, but here what I mean is actually relating a plot of sorts. This will read very different for different voices. For example, an authoritative voice using short sentences might tell the customer their own (i.e. second-person) story of how they’re about to make the life-altering decision to go and grab life by the horns and buy your client’s car brand, and all the amazing things that will happen to them from then on. Or a relatable voice might tell his or her own story of how they were just spending time with friends, and they couldn’t decide where to eat, and then someone suggested your client’s restaurant recommendation app. 3-What emotion* should the brand be conveying? *And by emotion I mean the main ones, but also general atmosphere or even vibe. Patriotism counts, for instance, as does nostalgia, and freedom, etc. This one, too, feels at first like something that stems from the choice of voice, but in truth it’s yet another sub-choice to make. Going back to the examples I mentioned earlier, a sciency voice that wants to sell parents safe pacifiers can still read quite different it it’s selling them with parental warmth or with parental worry. And the James Bond type voice that’s trying to convince you to buy a car can focus on feelings of freedom, or coolness, or the thrill of fast and semi-dangerous driving, and come up with pretty unique results every time. Or what about trying to tell a story about an exotic vacation for a hardworking, overstressed audience? Is it about discovering a new culture? Is it about being adventurous and taking risks that you can’t really afford to take back home? Is it about finally getting a chance to relax and clear the mind? These are three very different landing pages. When preparing to write copy for your client, don’t be embarrassed to brainstorm and ask questions. You’re not expected to guess what vision your client has in mind. Try and use these questions as a starting point from which to further explore. They’re not prototypes, just a few examples meant to help you realize just how many different options are in front of you and how varied texts can be if you only change a few words around. Here’s an example that might help illustrate what I mean by voice and emotion. Here are three texts by online clothing retailers. They all come from About Us pages; they all have in mind a pretty similar customer, probably female, very possibly young; they’re all trying to sell the same product, essentially. And yet notice how nuanced they are, and how different it feels to read each of them. 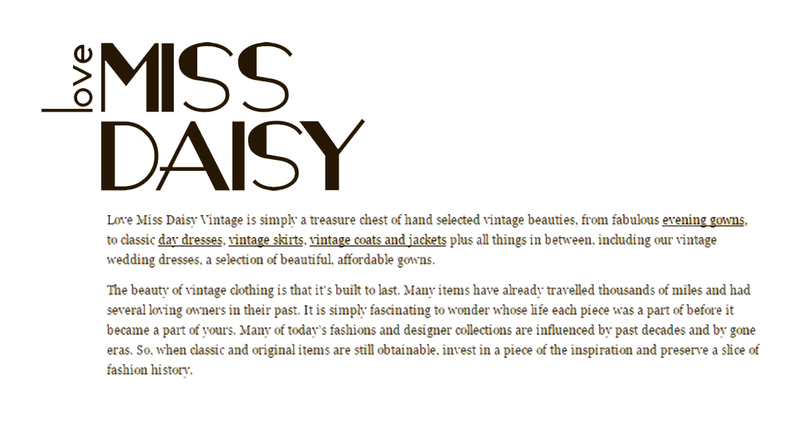 BooHoo is cool, young, quick-paced; Love Miss Daisy is dreamy, romantic, highly atmospheric; and TK Maxx is straightforward, businesslike, practical. To better get the hang of it, you can check out more marketing texts around you and try to break down what they do – and importantly, whether or not you think it’s working. And watch Mad Men if you haven’t been following it. Not for practice, it’s just an extremely good show. 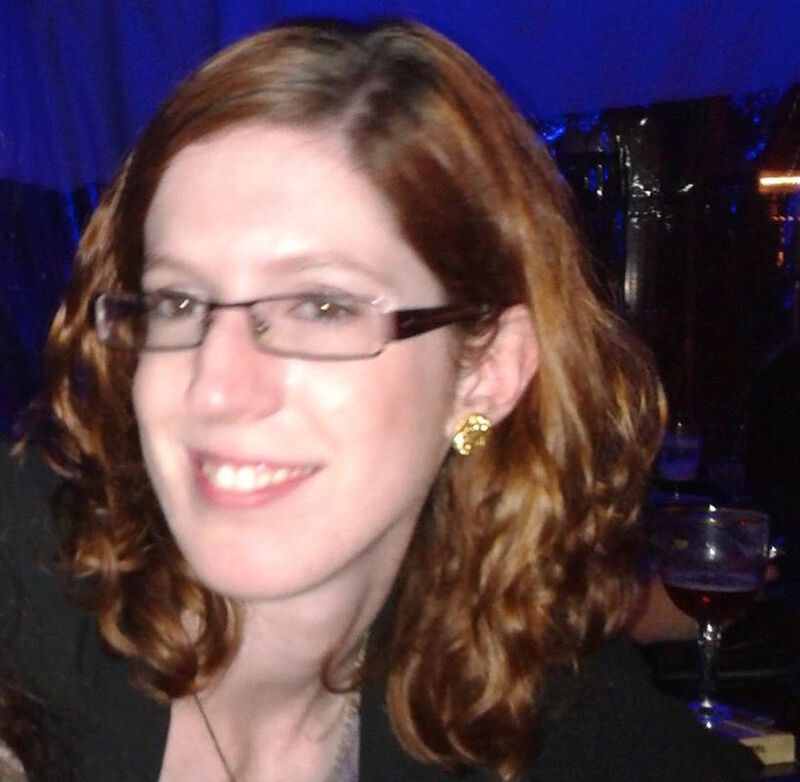 Tali is a freelance writer, editor and translator based in Tel Aviv. She has an MLitt in English from the University of St Andrews, Scotland. She has published op-ed pieces and articles in various magazines in the UK and Israel, and currently working on some pretty exciting projects, so keep your fingers crossed.